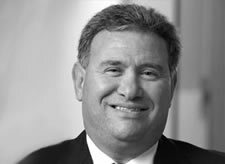 Mark S. Litner | Jaffe & Berlin, LLC. Mark S. Litner specializes in handling a broad range of commercial, industrial and residential real estate transactions and closings. He assists clients in, purchasing, selling, leasing and financing real estate; completing tax-free like kind exchanges of real estate; resolving landlord/tenant disputes and forming and structuring limited liability companies and other entities. Mark also advises unit owners, homeowners, condominium and homeowners’ associations, commercial property associations, real estate brokerage firms and property management firms on numerous business and legal issues. Representation of property owners, tenants, buyers, sellers, investors, brokers, lenders and developers in purchasing, selling, leasing, financing and developing real estate. Drafting and negotiating real estate contracts and related agreements; loan documents; office, industrial, retail, medical, restaurant, condominium and residential leases; and operating agreements. Representation of the owner of three downtown Chicago office buildings in drafting and negotiating dozens of office leases and lease amendments from 500 sq. ft. to 50,000 sq. ft.. Representation of Chicago real estate investment firm with multiple private investors in acquisitions, financings, sales and like-kind exchanges of dozens of industrial and office buildings valued from $1 million to $75 million. Representation of landlords and tenants in enforcing leases and remedies and resolving lease disputes. Representation of middle market companies, family businesses, investors, business owners and entrepreneurs in buying, selling and leasing office buildings, strip malls, restaurants, apartment buildings and owner-occupied buildings. Representation of clients in general business planning and strategy and formation and structure of limited liability companies. Mark has been recognized on multiple occasions by the Leading Lawyers Network as a top Illinois lawyer in the areas of commercial real estate and real estate finance, and has been frequently designated as an Illinois Super Lawyer, an honor given to the top 5% of attorneys in the state. Mark has taught courses on purchasing, selling and refinancing residential real estate as part of New Trier Extension’s continuing education program. Mark lives in the northern suburbs of Chicago with his wife Amy and has two adult daughters. In his free time Mark enjoys bike riding, traveling and following his favorite teams, the Boston Red Sox and New England Patriots, for whom he landed a tryout as a placekicker after college.